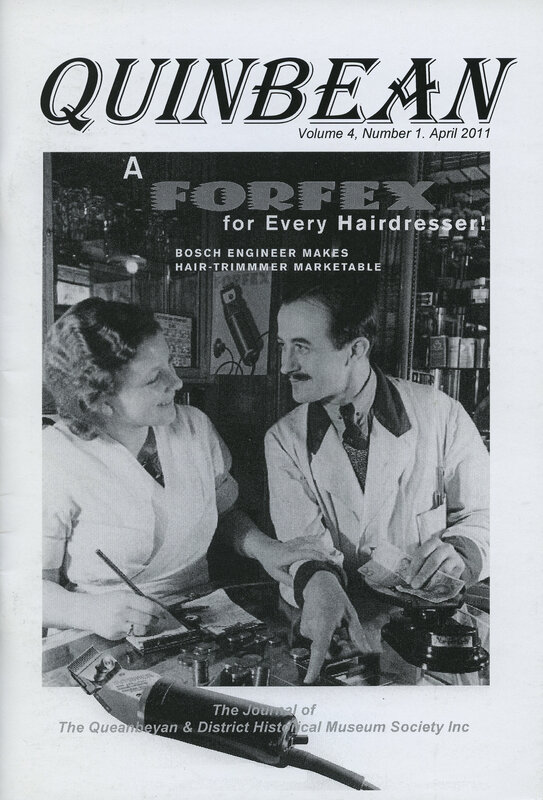 Focus on Quinbean – It’s Your Journal! 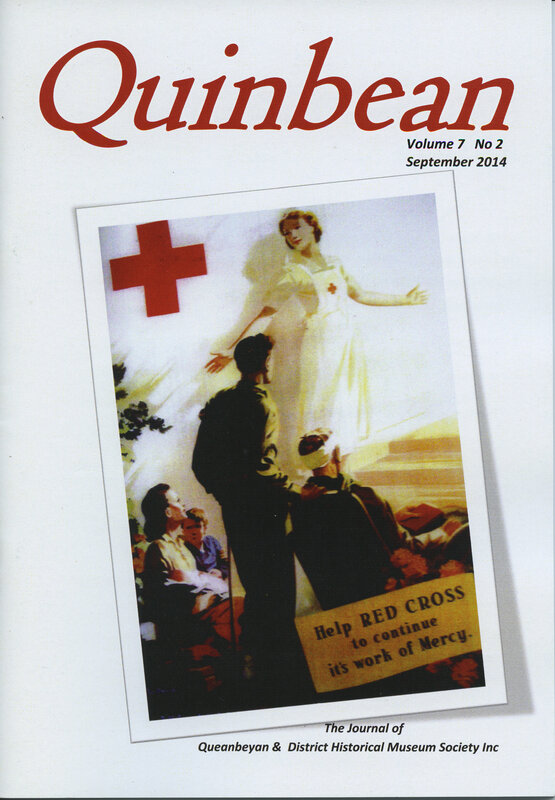 Did you know our Society History Journal Quinbean has been published for nine years? It was the brainchild of Andrew Blundell and Gillian Kelly way back in 2007 and since then there have been 24 editions printed. (The 25th is in production). So well worth celebrating! Of course the Society has published historical items in the early versions of the QDHMS Newsletter for many, many years and we have plans to digitise these. We would like to give Gillian Kelly, the Editor, a hand in gathering contributions to Quinbean which takes 30-40 hours per edition for her to put together. It is your Journal and we would love your contributions! What content is desirable? Make it your journal! 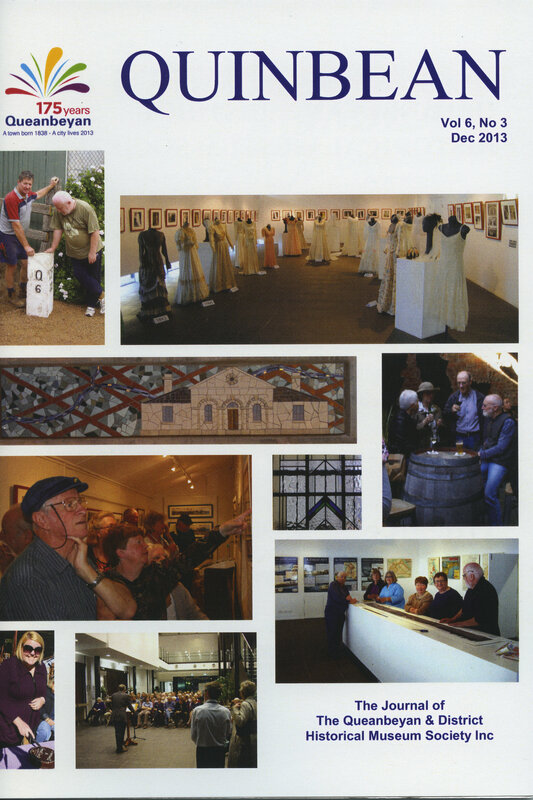 We’d like to cast the net fairly widely and welcome anything to do with Queanbeyan and district history. We want Quinbean to be accessible and not too stuffy! Family and oral history, interesting photographs, poetry and personal stories and memories are great. Acknowledgements: Please use a footnote where you have quoted another Author or source directly; also acknowledge any sources at the end of your article. You will need to adhere to the Copyright Act and if photographs are still in Copyright, gain approval of the Copyright owner to use the photographs you include in the article. Will my work be published in the next Edition after I contribute? The Editor tries to do this. Sometimes to maintain a balance contributions may be held over for a later edition. What length is accepted? Small and interesting snippets are absolutely fine. Three or four A4 pages is the usual length for an article. A longer article would be accepted but may be split over more than one edition. What format is accepted? Electronic files are preferred in Calibri or Times New Roman 12pt, but these can be converted. If you don’t have access to word-processing or the internet then typed pages can be scanned and handwritten contributions are Ok as they can be retyped for you. How do I submit? 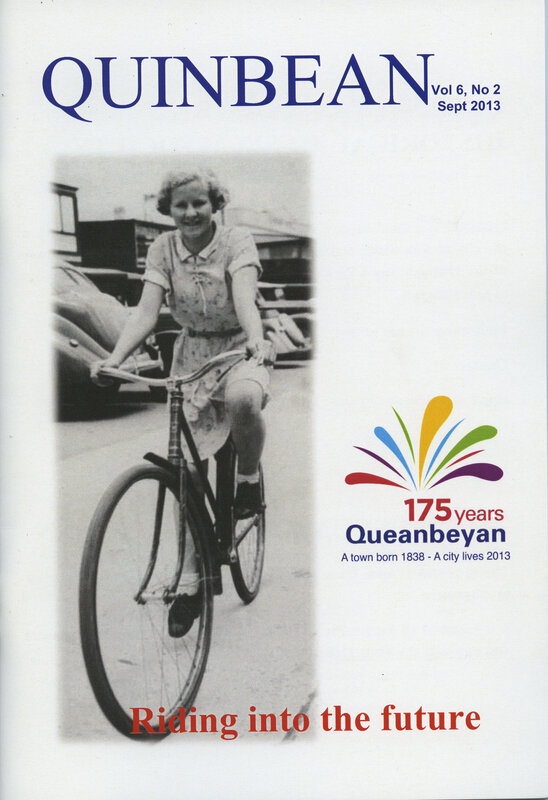 Send Attention The Editor, Quinbean as an e-mail attachment to qbnmuseum@yahoo.com.au Or by post (hard copy or USB) to QDHMS PO Box 480 Queanbeyan 2620 NSW Or drop it into the Museum on a weekend between 1-4. How often is it published? Contributions are welcome at any time and will be stockpiled for future editions. Published three times a year: March / April for the annual Heritage Festival; August / September for History Week and in December. The Editor starts work on a new edition 2- 3 months out from publication date. Quinbean is an important repository of local history. Would you like to make it more accessible? 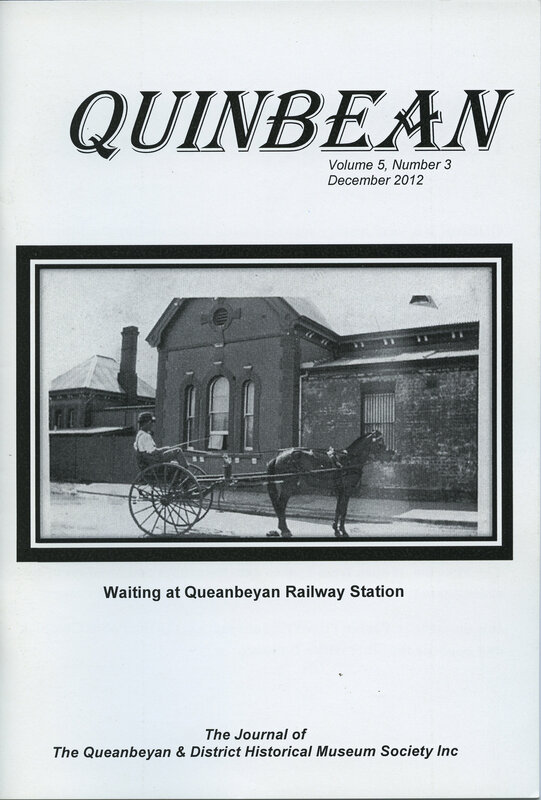 There is a full run of Quinbean at the Museum and the QCC Library. 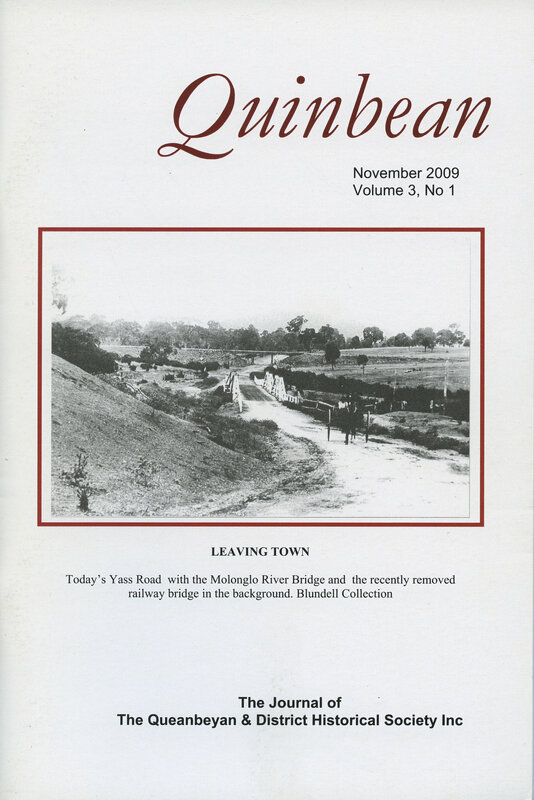 Copies are also sent to the NLA, the Canberra Historical Society and the ACT Heritage Library. We have been asked a number of times if there is an index to Quinbean, so we thought the time was right at 25 editions to see if anyone would be interested in working with Gillian Kelly on this? Contact the President, John McGlynn or the Editor, Gillian Kelly, if you are interested in discussing what might be involved. Volume 1: No. 1, June 2007; No. 2, October 2007. Volume 2: No. 1, Feb 2008; No. 2, June 2008; No. 3, Jan 2009; No. 4, May 2009. Volume 3: No. 1, Nov 2009; No. 2, April 2010; No. 3, Aug 2010; No. 4, Dec 2010. Volume 4: No. 1, April 2011; No. 2, September 2011; No. 3, December 2011. Volume 5: No. 1, April 2012; No. 2, August 2012; No. 3, December 2012. Volume 6: No. 1, April 2013; No. 2, September 2013; No. 3, December 2013. Volume 7: No. 1, April 2014; No. 2, September 2014; No 3, January, 2015. Volume 8: No. 1, April 2015; No. 2, September 2015.